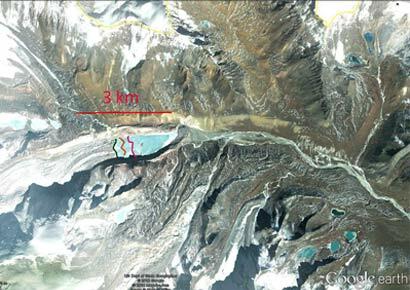 Himalayan Lake Bursting: Risk Very High! 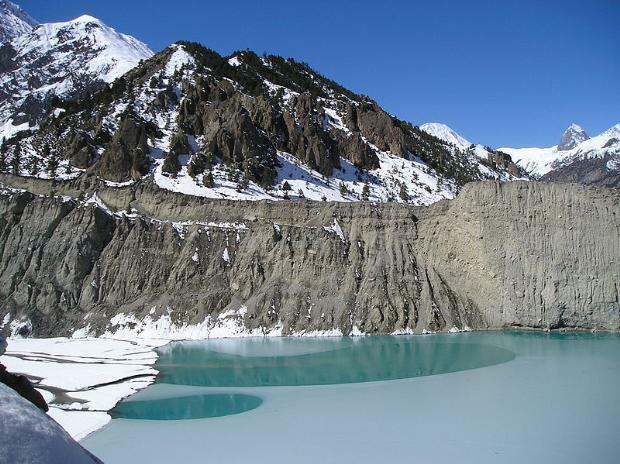 A scientific study reveals that a lake may fall from the sky, well … from a very serious height … about 7,000 metres from the top of the Himalayan mountains, this lake poses a serious and dangerous threat. The location of the Lake is The South Lhonak Glacier on the Himalaya’s, which drains east from Lhonak Peak into Sikkim from the Nepal-Sikkim border. This lake will cause a lot of destruction if it bursts and flooding will be inevitable on the ground. The risk of this happening has been put at highly likely. The Lake has formed at the top of a mountain through melted water from the ice which is atop of the mountain in Sikkim. 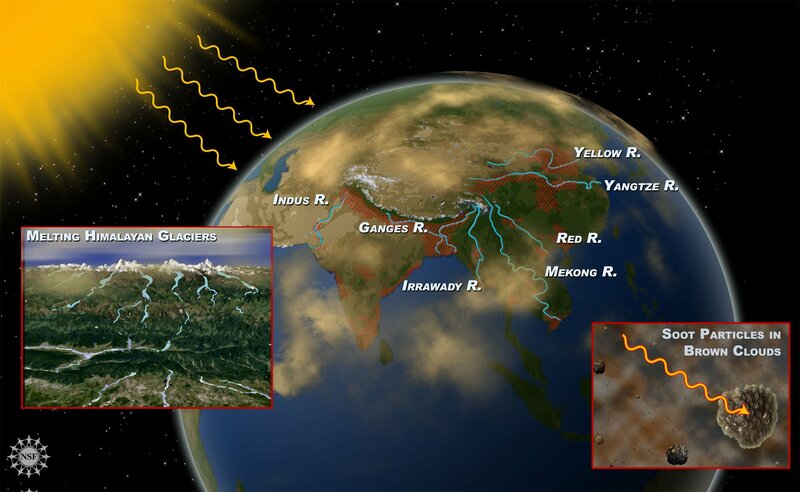 This is said to be evidence of global climate change and the rising temperatures around the world which is also happening in India causing ice to melt in the Himalaya’s at what is said to be an alarming rate. “The rate of growth of the lake indicates possible developments of the hazard situation” the study report says and this may come as a surprise when places like Jammu and Kashmir have seen record levels of snowfall and India in places such as Delhi has become chilled and foggy at times; it would seem that the world is certainly bringing about some spectacular changes such as dust storms in Australia and frozen over landscapes in Europe due to rising temperatures, sea levels, and wind. The study has been conducted by The National Remote Sensing Centre in Hyderabad and researchers say in a report published in the journal Current Science that the glacial lake is approximately 630 meters wide and 20 meters deep. It covers an area of 98.7 hectares and is filled with 19.7 billion liters of water. It is said that a sudden outburst “can create devastating floods downstream”. Although the researchers have given warning of a highly likely outburst of water, further studies are to be conducted via the same method of using satellite technology. It has been discovered also that in the past century the glaciers on the North Side of Mount Everest have lost 100 metres of height due to the disappearance of the glaciers which have been melting (also said to be quickened by soot particles); where there used to be a lot of snow topped covered mountains in the Himalaya’s there is now rock and dirt. It is feared by many that the Sacred Himalaya’s believed by Hindu’s to be a residence of Lord Shiva and by Buddhists to be the God of all females will soon be without snow all together. If the glaciers disappear there will inevitably be an effect on the eco-system and people who go to the rivers will not be able to have access to freshwater supplies as they do now. Based on the study the scientists according to estimates knew that the Lhonak glacier had receded 1.9 km between 1962 and 2008. Sikkim where this Lake waiting to burst is situated, was where an Earthquake (6.9 magnitude) took place in 2011 and affected India, Nepal and Tibet killing more than 90 people through landslides and huge boulders falling from the mountains. The Himalayas have over the past few years been subjected to earthquakes, however it was the latter one that caused most damage, it is believed that if more earthquakes are to occur they could cause lakes to burst and thus cause flooding, this is a situation which is being looked at closely by scientists, especially as the lake is only bound by loose soil and debris and is expanding all the time due to the glacier melt. « Eye on the Tiger!